11/23 9 am on KBOO 90.7 FM: Tune in for a special program featuring highlights from our Occupy Portland recordings and interviews. And tune in at 5:00 pm each weekday for a full report on 90.7 fm. Saturday December 3rd 2011 10:00 PM - Around 50 riot cops are stationed in a perimeter around the South Park Blocks, after evicting the attempt by several hundred supporters of Occupy Portland to hold the park. The Oregon Symphony just let out, and lots of concert goers seem confused by the massive line of riot cops facing them down at the edge of the Park Blocks. 7:30 pm - Occupy Portland is attempting to re-occupy a public place -- the South Park Blocks (SW Park and Salmon) in downtown Portland. We are re-streaming the LIVE stream from Occupy Portland. Sun. 11/13 6:30 PM General Assembly happening now at Pioneer Square. Both 'Occupy' parks are closed and fenced off, protesters planning next steps. 2:40 PM At least ten people have been arrested - probably many more, but no confirmation. Chapman Square has been fenced in, Terry Schrunk Plaza blocked off by riot police. 12:56 PM Police now moving in on Chapman Square and making arrests, protesters calling out for support. 6:27 am Protesters have re-taken Chapman Square, riot police backed down for a second time this night after a two hour standoff. 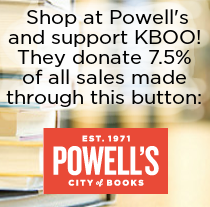 KBOO is still there recording, but no longer have the means for a live stream. 3:15 am Police have retreated, changed shifts, while the crowd remains in the thousands with drum circles, dancing and a hundred bicyclists still going strong. Check the live stream again in ten minutes, we have to switch laptops. 2:15 am Riot police have begun pushing into the crowd on Main St., and announced on loudspeakers that chemical dispersants would be used if people refuse to clear the street. 1:45 am Back online now. Mounted police arrived, but the crowd of over 5,000 people have remained in the street. 12:29 am Stream down, lost laptop power, will try to be up in a few minutes. Keep checking back. 12:01 UPDATE: We are live again (from a backpack) at the Occupy Portland camp which Mayor Sam Adams said would be evicted at 12:01 Sunday. Tune in to the link below for updates. A large group of bicyclists recently arrived for support. Police are milling around, no major mobilization or crackdown at the moment. (11/10/11): Mayor Adams announces a plan to evict the Occupy Portland encampment on Saturday night at midnight. Campers plan a potluck, concert as a welcoming party for the police. (11/04/11): Representatives of Occupy Portland Safety Committee met with Portland Police Chief to address concerns. Notes from the meeting are posted here. (11/02/11): 5:00 PM - Hundreds of people gathered in solidarity with Occupy Oakland and Scott Olson, Iraq war vet injured by police. Fire Marshall has shut down the generators on site, so we are working on alternate power possibilities. (11/01/11): 5:00 AM - 10 people arrested trying to expand camp to federally-owned land at Terry Schrunk Plaza. Around 500 campers remain at adjacent city parks - Chapman and Lownsdale Squares. (10/22/11): 5:00 PM - Wedding held at Occupy Portland. Video here. (10/20/11): 12:00 PM - Mayor Adams tells press conference he has no immediate plans to evict the encampment, says he agrees that something needs to be done to hold Wall Street accountable. 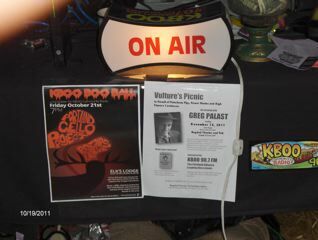 (10/19/11) : 3:38 PM - KBOO webstream has been live all day - will go until six. Mayor Sam Adams today told protesters that no marijuana use, medical or otherwise, will be permitted anywhere at the encampment. Early this morning, protesters confronted the head of JP Morgan Chase at the Governor Hotel downtown. And at 5, a protest against Condoleezza Rice is planned for outside the Convention Center. (10/18/11): 12:00 PM - Our webstream is live! City Commissioner Amanda Fritz will be in Terry Schrunk Plaza at 1 to speak with protesters, followed by a teach-in with former Black Panther Malik Rahim. (10/17/11): 3:15 PM -Around one hundred people rallied outside the Federal Bankruptcy Court at noon to protest excessive student loan debt and terms. (10/15/11): 4:30 PM - Around 3,000 people marched to end the ten-year long war in Afghanistan, and bring the money home to support our own economy. Many of the 'Occupy Portland' campers and supporters were among the crowd, and the messages in the march included 'We are the 99%' and other indications of frustration with the top one percent controlling the economy. 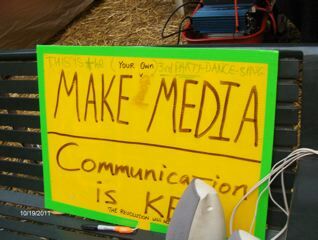 (10/14/11): 5:00 PM - We are now streaming live from Occupy Portland - Listen online or come visit our tent across from the info booth at the encampment! If you want to give us feedback or request something, just direct a tweet to us @KBOO on Twitter. (10/12/11): 3:38 PM - Six of eight people arrested this morning when police forced the opening of Main Street have now been released. (10/11/11): 5:37 PM - Encampment continues, despite downpours - around 400 people, both Chapman and Lownsdale Square. General Assembly tonight at 7 pm - Main St. between 3rd and 4th Ave. Guide to armbands/committees | Planning for Occupy Vancouver - General Assembly Wednesday at 7 pm at Esther Short Park, Vancouver, WA. (10/10/11): 8:00 PM - Occupy Salem has begun - a dozen tents in Willson Park, following march of 500 supporters through downtown Salem. (10/09/11): 7:42 PM - Portland Marathon and two Occupy Portland marches went off without a hitch today - Chapman Square is once again fully occupied, and tents are being set up again in Lownsdale Square. General Assembly meeting currently taking place in the street between the parks, with protesters attempting to hold both parks and the street between. (SW Main between 3rd and 4th). 11:47 AM - Join the #OccupyPortland marches today at 12:00 noon PSU South Park Blocks or 2:30 PM Rose Quarter across Broadway Bridge to downtown/Chapman Park. (10/07/11): 9:55 AM - Portland Police have announced that they will not storm the park at this time. They are currently negotiating with the Portland Marathon, who have rented the park for the weekend. Around 250 - 300 people remain in Chapman Park - SW 3rd and Madison. General Assembly meeting planned for 7:00 pm this evening. 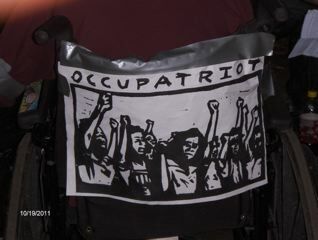 (10/06/11): 5:00 PM - Occupation begins - Chapman Square and Lownsdale Square - between SW 3rd and 4th, Salmon and Madison. Few police. 2:12 PM - March preparing to begin at 2:30, more participants keep flowing in to Waterfront Park. Red armbands = medics. 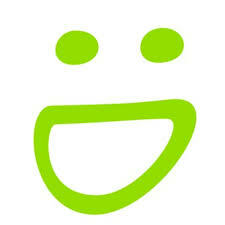 Green armbands = legal observers. Peace and safety committee stresses non-violent nature of march, says families are welcome to join. 1:36 PM - Organizers urging all participants to remain civil. Inflatable 'fat cat' balloon, signs reflecting anger and frustration with banks and multinational corporate power. 1:00 PM - Planned route of march - Crowd continues to swell - thousands of people gathered at Waterfront park - march will begin at 2:30. Message of protesters: End corporate control of government. 12:05 PM KBOO Reporter Joe Lino at site of Saturday Market - Waterfront Park south of Burnside - reports around 3,000 people gathered with signs, several dozen legal observers with bright green vests. 11:55 AM Caller reports seeing a number of large black police vehicles and personnel stationed under the Broadway Bridge.